Dr. Dugas offers Acupuncture and Chinese Herbal Medicine to help heal injuries and to mitigate the pain of acute or chronic injuries as well as other health issues. Dr. Dugas offers Acupuncture appointments in New Port Richey area. For more information contact Dr. Dugas at (727) 232-6568. Dr. Dale Dugas offers martial arts classes in the New Port Richey/Port Richey area. Dr. Dugas teaches South Mantis publicly, as well as offering online lessons as well for all levels of Iron Palm, Iron Body, Iron Fingers, and Iron Legs as well as classes in the creation and making of herbal formulas for training and longevity as well as serious power. For more information call or text 813-285-1895. Turn to Dr. Dale Dugas Dit Da Jow and Chinese Medicine for all of your healing and health needs! Acupuncture is a form of medicine that originated in China thousands of years ago. Acupuncture involves the placement of thin, solid acupuncture needles into the acupuncture points on the body’s meridians. Acupuncture serves to regulate the body’s energy — known as Qi — and it corrects imbalances, which can lead to illness, disease and a general lack of well-being. While it is a slightly invasive treatment, Acupuncture does not carry any health risks when it’s performed by a licensed and experienced Acupuncture Physician like Dr. Dale Dugas. Sterile, new acupuncture needles are used for every treatment with each patient. All needles are used only once per patient. As a traditionally and professionally trained Chinese herbalist, Dr. Dugas also offers a variety of herbal medicine treatments as well. These remedies can be used alone or in conjunction with other treatments, like Acupuncture or even traditional Western medicine. Dr. Dugas is a sports injury specialist and can help you with injury liniments, internal injury herbs/pills as well as Acupuncture, Tui Na and Cupping. 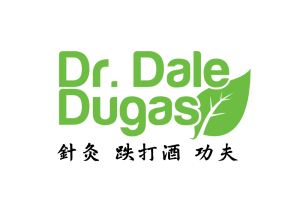 Acupuncture Physician and Board-certified Chinese herbalist, Dr. Dale Dugas offers his services at 715 N Franklin St. Tampa 33602 Thursday through Sunday by appointment only. Dr. Dugas also offers Acupuncture House Calls at your location. Dr. Dugas offers Chinese Acupuncture treatments as well as Chinese herbal remedies and supplements — perfect for those who are afraid of needles! Dr. Dugas, can also blend acupuncture and herbal remedies for a personalized health regime that will promote better health and well-being. Dr. Dugas is now offering both clinic appointments at 715 N Franklin St. Tampa 33602 as well as Acupuncture House Calls in the Tampa Bay Area. Now you can sit back and relax in the comfort of your own home or office. You do not have to get on a table, unless you want to. Dr. Dugas can treat you from your own comfortable chair or couch. You do not have to disrobe. Dr. Dugas usually treats patients using Acupuncture points on the hands, arms and lower legs. Call 813-285-1895 and schedule your appointment today! Dr. Dale Dugas offers classes in Old Time Kung Fu. Public South Mantis Classes are held Monday and Tuesday evenings from 7pm-8:30 pm. Dr. Dugas also offers online training, one to one private training as well as small group private instruction in Tampa or at your location. Dr. Dugas teaches with nothing held back. For more information click on the link below to visit Dr. Dugas’ Old Time Kung Fu page. Dr. Dale Dugas has been making Dit Da Jow herbal liniments for over 30 years. Our Dit Da Jow liniments contain only the highest quality tested herbs available! These liniments are used to help mitigate the pain and inflammation of hard physical training as well as help with acute or chronic injuries. For more information email herbs@daledugas.com or call/text 813-285-1895.